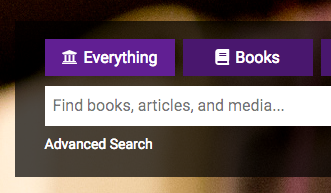 The Books tab of the library webpage search box will search our library catalog, and also connects to WorldCat, which searches the collections of 10.000 libraries worldwide. Any book in WorldCat can be requested free of charge by selecting the Request Item button within the details of each book. Most print books in the Good Library are organized by the Library of Congress classification system (sorted by subject). On the spines of each book look for a set of letters followed by numbers. Most eBooks are available through a collection in EBSCO, see instructions to access below. Using the words AND (in capitals) combines search terms so that each result contains all of the terms. Looking for different results? Try changing the "sorting by" option in the right hand side of the page. 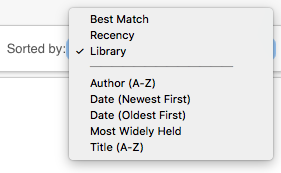 By changing this option to Best Match, you can see results from other libraries on your topic. 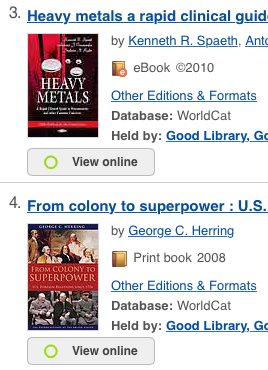 These books can be requested free of charge by selecting the Request Item button within the details of each book.